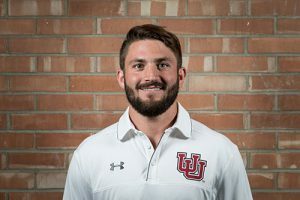 Adam Ghitelman joins the Utes lacrosse staff as an Assistant Coach after serving as Head Coach of the University of Southern California men’s club lacrosse program for the past year. Prior to USC, Adam served as an assistant coach at Harvard University for 4 years. During this time, Ghitelman helped the Crimson do what no other team had done in 24 years, as Harvard won the program’s first Ivy League championship since 1990 with a 5-1 conference record. The feat helped earn Harvard an at-large berth to the NCAA tournament, its first since 2006 and sixth overall, while elevating the Crimson to the highest ranking in program history at No. 11. He currently plays Major League Lacrosse for the Atlanta Blaze as a goaltender and has been in the league for 7 years. He is a team captain and MLL All-Star. Adam has been involved with growing the sport of lacrosse and is a Co-Founder of G3 Lacrosse which provides the most elite and innovative lacrosse goaltender camps, academies, and clinics throughout the country and Marketing Coordinator for StringKing Lacrosse.